The Viper by Bguitars is an original design crafted from components and features beyond what you expect from instruments in this price range. The Viper features an ultra light, hand contured body with a single humbucker and a vintage-style tremolo system designed for better sustain. 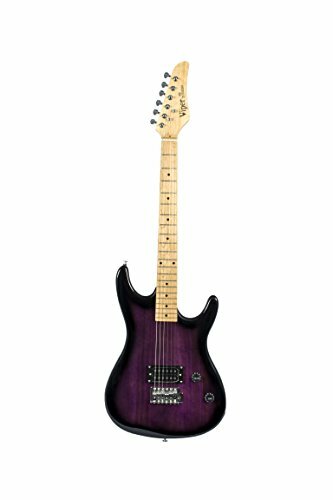 The 25 ½" maple neck is topped off with a 21-fret maple fingerboard, Vintage Tremolo bridge and whammy bar lets you have tons of fun producing cool rock effects.